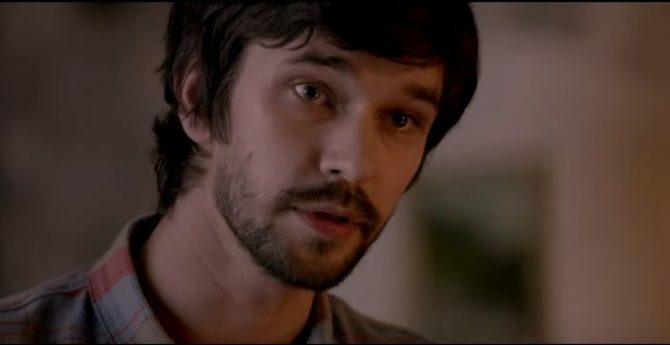 Ben Whishaw, in the trailer for 2014’s “Lilting.” Via YouTube Screenshot. Peter Capaldi announced this week that he will end his run in the role of The Doctor in the BBC television show “Doctor Who” at the end of the 2017 season, making way for a new actor to take on the iconic part. Capaldi has been playing The Doctor since 2013. Bookies have placed odds on openly gay actor Ben Whishaw to replace Capaldi, reports Gay Times. This is not the first time fans have expected Whishaw to win the part, as many expected he would take over for Matt Smith back in 2013. He came out publicly in 2013, and announced at the same time that he was in a civil partnership with Australian composer Mark Bradshaw, which they entered into in 2012. Watch Whishaw in action in the video below. He’s also great in Skyfall and SPECTRE. People who think HBO’s “The Night Of” was great tv should see Ben Whishaw in the original UK TV Show “Criminal Justice”. Night Of was based on Criminal Justice and entire scenes and monologues in Night Of were taken directly from Criminal Justice (like the scene about veal). I WON’T hold Ben Whishaw’s role in The Lobster against him. The Lobster is perhaps the worst film I’ve seen in decades. Both I and several other movie goers were asking for our money back when the film ended. I want to say that The Lobster was better than Beyond The Valley of The Dolls but I can’t; at least Beyond the Valley of The Dolls had some campiness that made it into a film that was SO bad that it was good in a campy kind of way. The Lobster was devoid of ANY redeeming social value…nada. Yes he would, but he would also approve of Russell Tovey even though half the qweenz on this board wouldn’t, and even though Tovey already played another character on Dr. Who, Midshipman Alonso Frame. 🙂 Tovey would be a winner. Ben Whishaw is a fantastic young actor. I hope he has the good sense to say “no” to Doctor Who and continue doing more worthwhile work. I hat to be “that guy” HOWEVER it would be the next Doctor not the next Doctor Who. The show is Doctor Who the character is the Doctor. Its hard to believe that I haven’t seen a Doctor Who episode in four years. I hope that Ben takes over, as I think he’d make a wonderful Doctor. He would be better than a female Dr Who that just is not right always been a male .